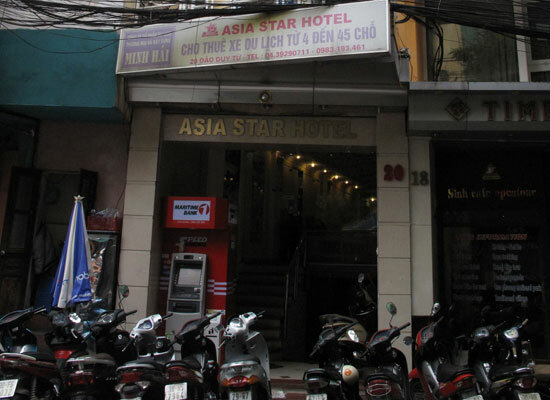 Hanoi Asia Star Hotel, located on Hanoi’s busy Dao Duy Tu Street, is a reasonable value midrange hotel with a almost-too-good-to-be-true Halong Bay special offer. Average rating 7.5 from 724 reviews. First impression on our visit was that the hotel was well staffed. The reception area was full of activity, with uniformed staff milling around at the door, behind reception and at the travel desk. As the room is very narrow, this did make it feel a little claustrophobic, but the welcome was polite and friendly. Those curtains might not keep out the noise. Although the hotel looks small from the front, it’s deceptively large inside, with a claimed 42 rooms. It’s a bit of a maze; to get to some of the rooms you have to go up in the lift and then walk up a narrow staircase. This has some charm but that charm might wear off if you have a big heavy bag to carry. Still, one of the numerous workers should be able to help you with that. The higgledy-piggledy set-up means even rooms in the same price bracket can be quite different, so ask to see other rooms if you’re not keen on the first. 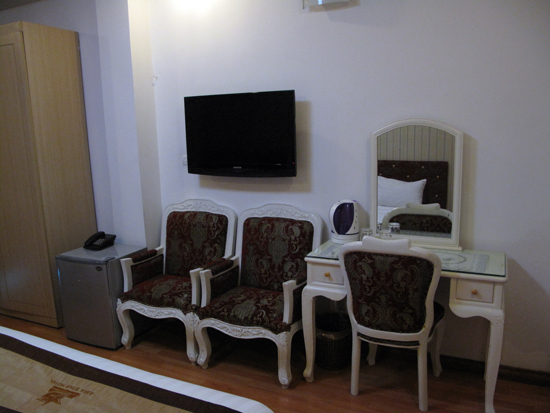 Overall, the rooms are basic in both design and contents, with mismatched furniture, decor and fittings. It doesn’t all quite hang together, but the rooms are clean and spacious enough, and deliver the basics. And the white Queen Anne chairs have a certain appeal. 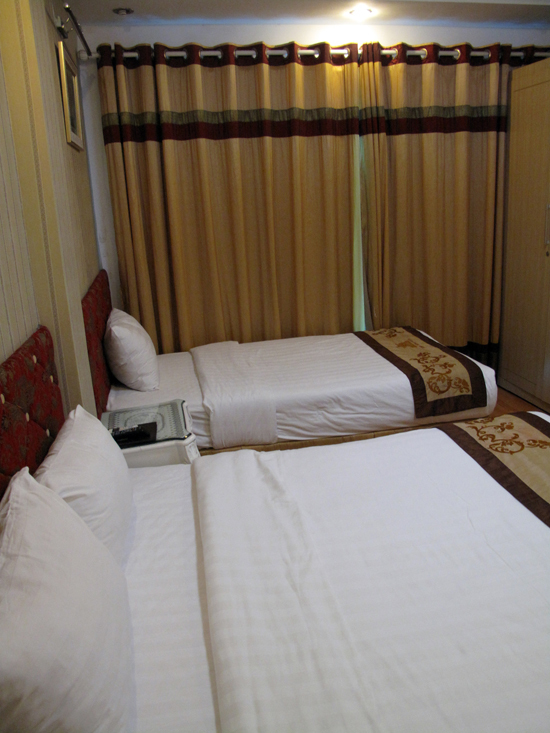 We were give prices for two levels of room: superior $25 and deluxe $35. The difference between the two types is the size of the room and the view, with deluxes boasting a small balcony overlooking Dao Duy Tu Street. 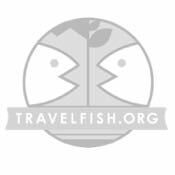 Single, double and triple rooms are available; if you’re in town with a child or just in a group of three, the family room works out better value than taking two rooms. Clearly tours are an important part of the offer and the website even claims that for stays of more than three nights you get a Halong Bay trip thrown in — we assume it’s not a luxury one. Dao Duy Tu is a good street to be staying on if you like street food and street life, however breakfast is included in the room rate, so save the street for lunch or snacks. The hotel is located near a nightclub, which has potential to be noisy, so go for a back room if this is likely to bother you. Overall, if you want somewhere with a bit of space and light, Hanoi Asia Star isn’t a bad option for the price range, although there’s no shortage of choice in this price range, including some of our favourites like Cozy Hotel 2 and Art Hotel.